Welcome to the 4th Annual App of the Year Awards, a celebration of the years finest mobile and tablet games chosen by you and us. For the next 11 days it is up to you to vote for your favorite apps so that they may make the top 50. Once the top 50 is determined we will continue tallying votes until the December 21st, with the winners announced shortly after. Last year the first prize was awarded to the point-and-click adventure game Steampunker. Coming in second was the strategy MMO Illyraid and in third place we had the immensely colorful Avoid: Sensory Overload. As well as App of the Year we will also be running the Indie of the Year and Mod of the year . If you'd like a bigger picture of how things wen't down last year feel free to check out the other top contenders as well as our editor's choice as we do every year alongside the players choice. Only the best will make it through to the next round and we need your help finding them. Check out the years headlines, or what's hot right now for information about all the big 2015 releases. Time for a further 10 days of intense voting to begin on the top 50 page. 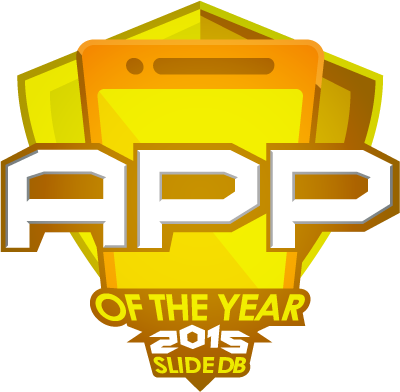 At the end of this we shall be crowning the 2015 App of the Year and also the 2015 Editors Choice. Just don't forget to vote and if you have friends - why not encourage them to particpate as well via the rather conviently placed like buttons we've made below... AND MAY THE BEST APP WIN!